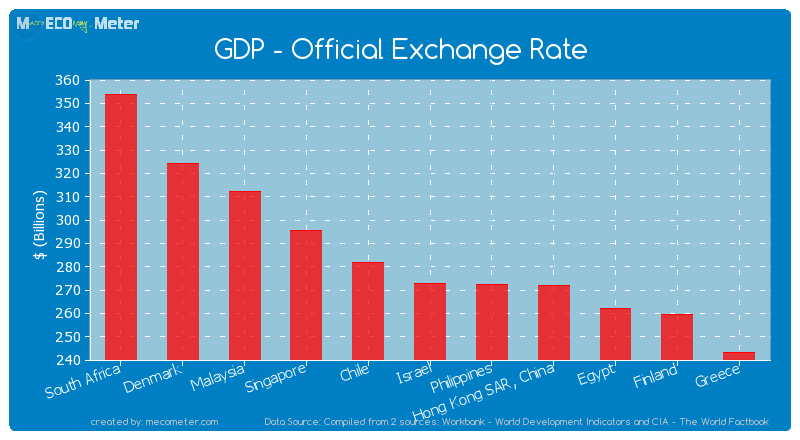 Value & RankThe GDP - Official Exchange Rate of Israel is 273 ( billions of $) with a global rank of 38. 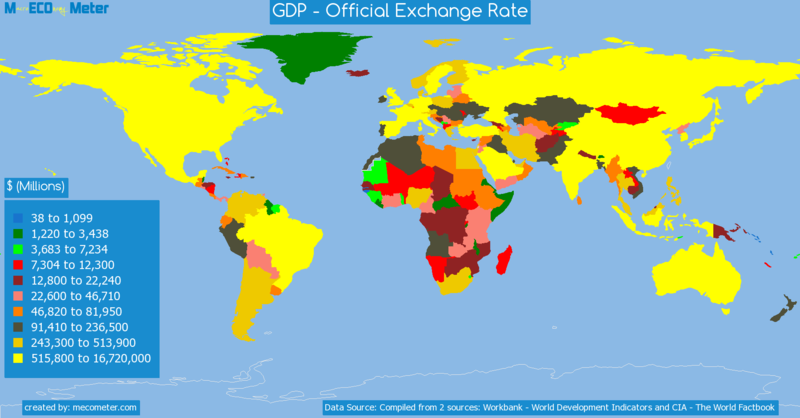 Israel compared to other CountriesThe GDP - Official Exchange Rate of Israel is similar to that of South Africa, Denmark, Malaysia, Singapore, Chile, Philippines, Hong Kong SAR, China, Egypt, Finland, Greece with a respective GDP - Official Exchange Rate of 354, 324, 312, 296, 282, 272, 272, 262, 260, 243 ( billions of $) and a global rank of 33, 34, 35, 36, 37, 39, 40, 41, 42, 43.10 years growthIsrael's GDP - Official Exchange Rate had a positive growth of 130 (%) in the last 10 years from (2003 to 2013). 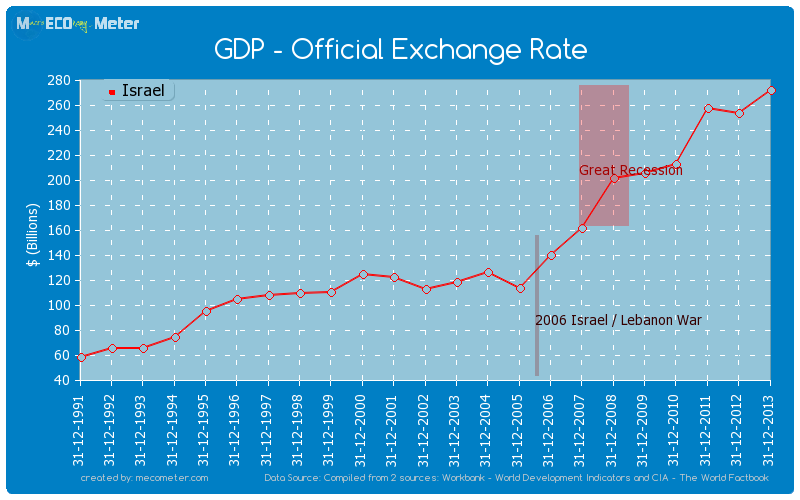 Last 10 years averageIsrael had an average GDP - Official Exchange Rate of 188 ( billions of $) in the last 10 years from (2003 to 2013).